View Galleries : Howard Sandler has 107 galleries and 5359 images online. These pages have been viewed a total of 5407780 times. View Guestbook : 58 messages. Most recent on 14-Nov-2008. Welcome to Howard Sandler's personal photo site. 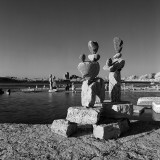 For my professional photography work, please see www.howardsandler.com. I am based in Ottawa, Canada. For more of my photography with film cameras, I also have galleries at: https://www.flickr.com/photos/hsandler/ Enjoy your tour!